Korean comedian and former wrestler Kang Ho Dong owns this popular kbbq franchise. Don’t let the word “franchise” (or the owner’s celeb-status) scare you away though. It’s totally legit. The fun and casual atmosphere only adds to their authenticity, as does their meat quality. But get there early. It’s so good and so popular that the wait times can be up to two hours. At Quarters, you order your proteins by quarter pound. So instead of ordering huge slabs of one type of meat and eating yourself into a galbi-coma, you can do it tapas-style and order several different kinds of meat or seafood. But the best part about this place – they have a full bar! Because the only thing better than kbbq is kbbq with cocktails. 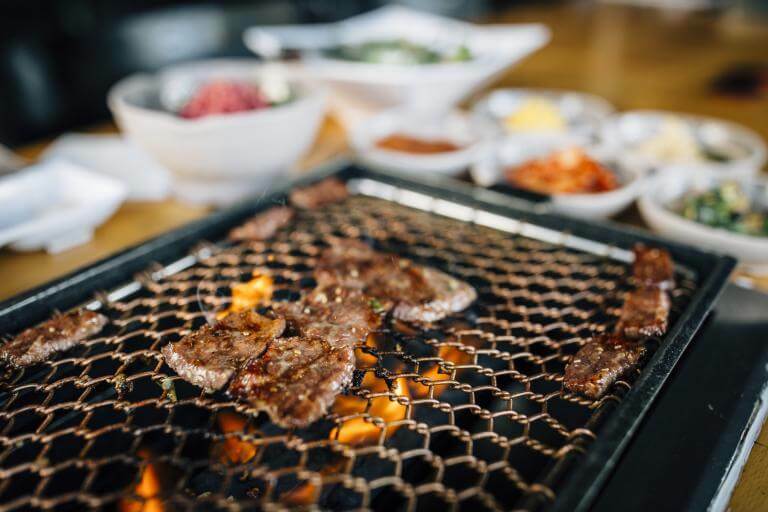 The 14 Must-Try Korean BBQ Joints In L.A.